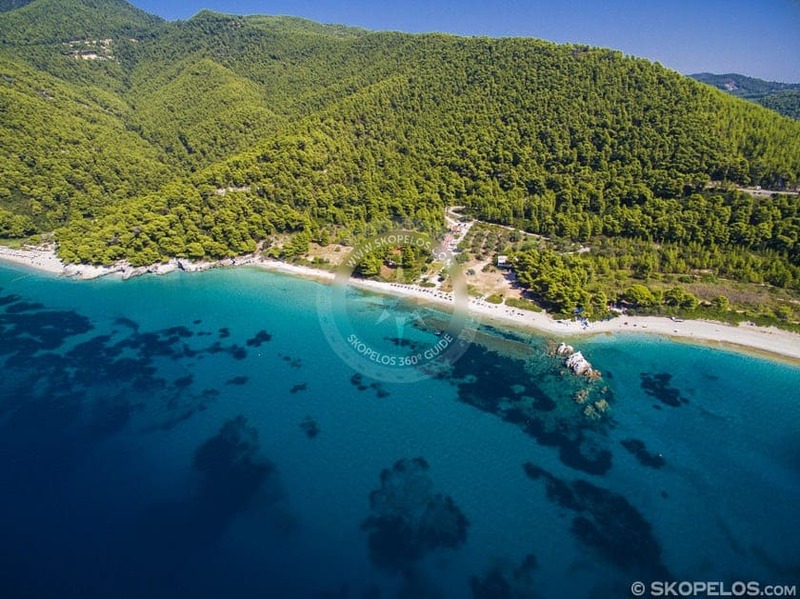 Milia beach is one of the most popular beaches on the green island of Skopelos. 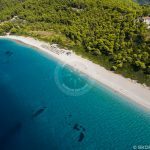 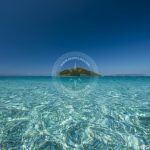 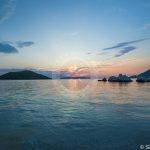 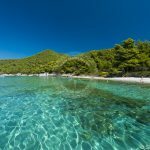 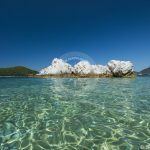 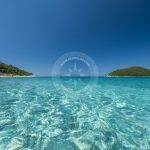 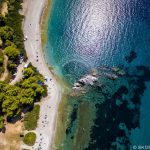 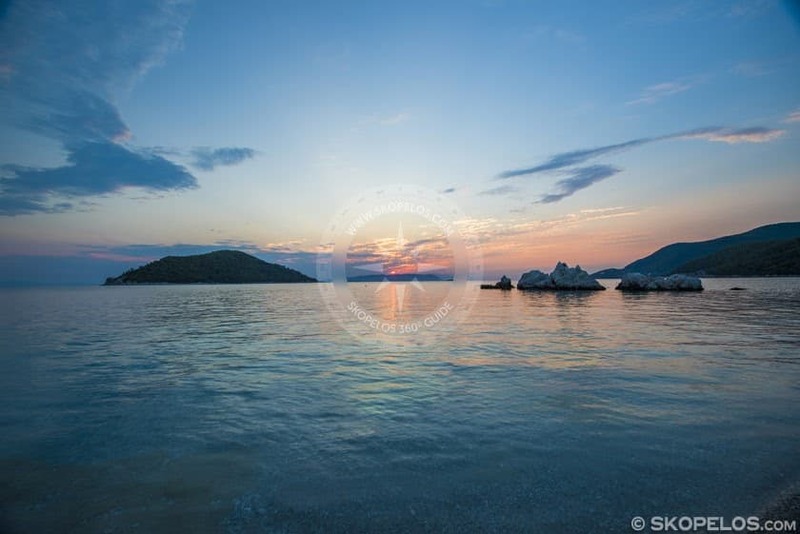 Many even claim to be the best beach on Skopelos island. 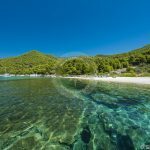 Located only a kilometer away from Panormos village, this wide, sandy beach has a spectacular view of small island of Dassia. 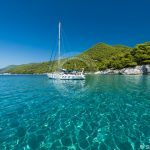 Moreover Dassia island is easily accessible by boat. 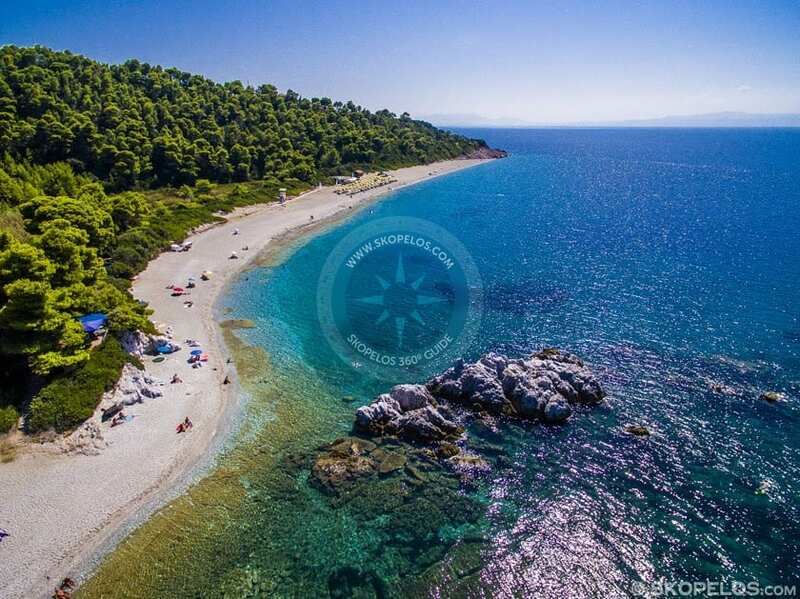 Milia beach lies north of Panormos, over the headland, approximately 14km south-west of Skopelos Town. 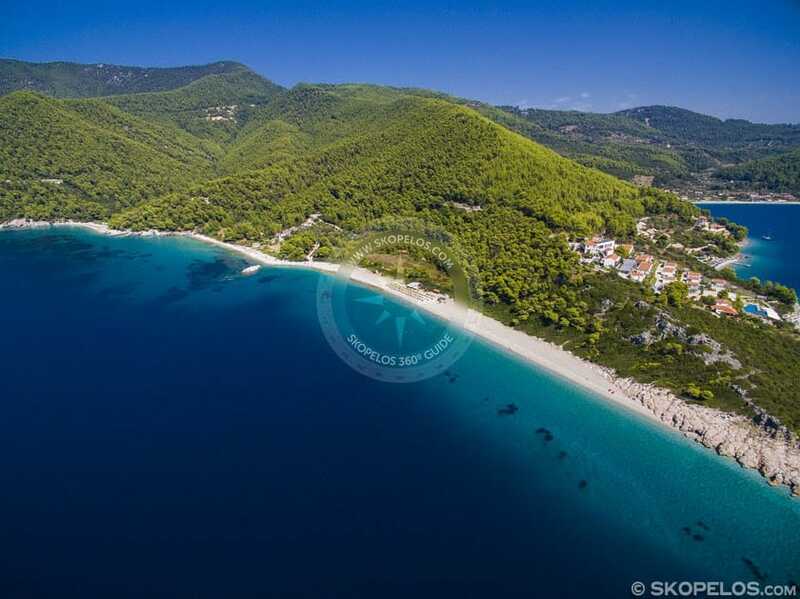 Skopelos Milia beach has a similar distance east from Glossa, the island’s second largest village. 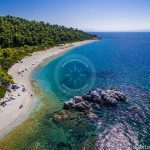 On Milia beach you will find white sand mixed with pebbles. 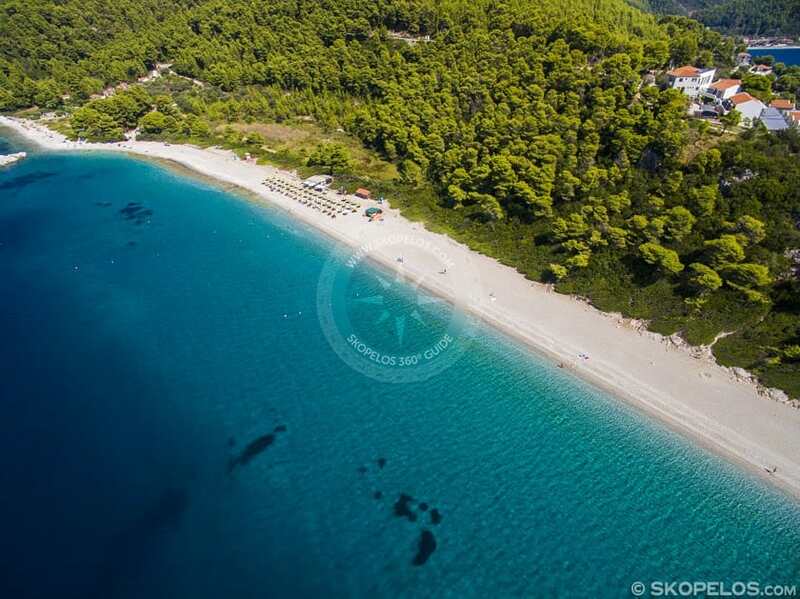 It’s the longest beach on the island and it stretches in two directions. 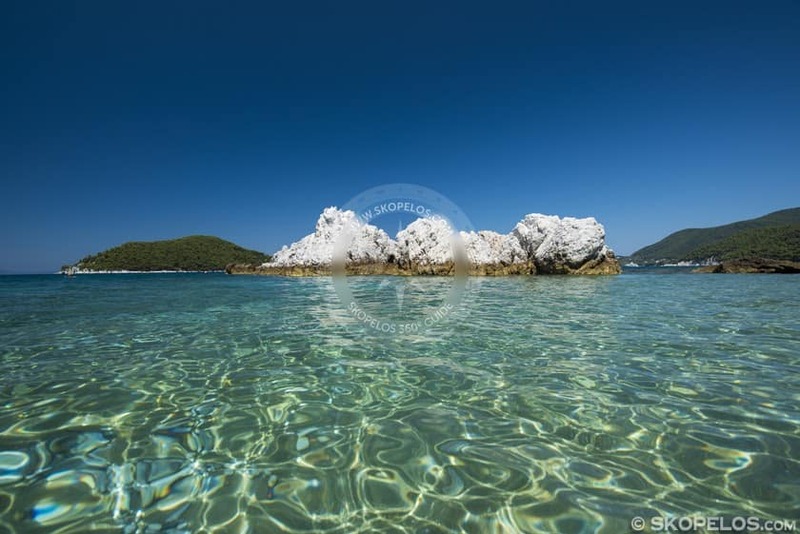 A row of rock formations, great for snorkelling, naturally divides Milia beach in half. 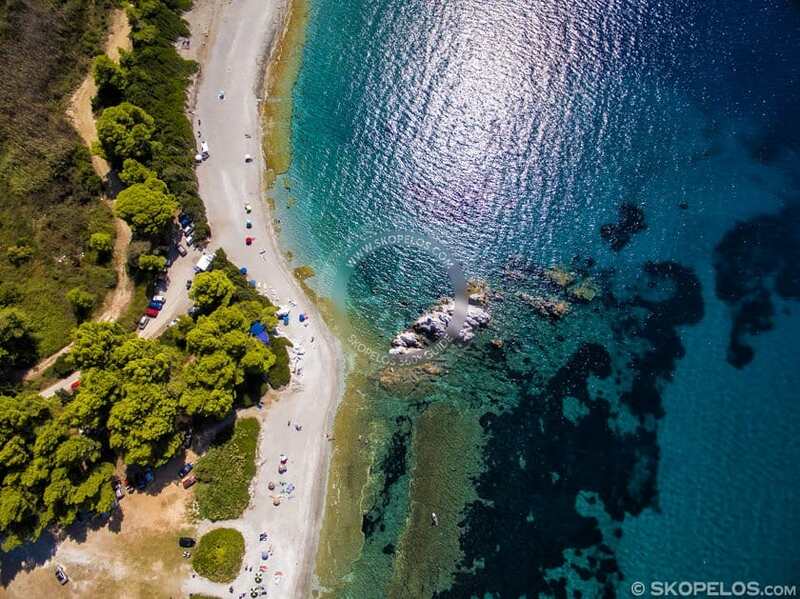 The left side attracts most visitors since it has a beach bar, sun loungers and umbrellas. 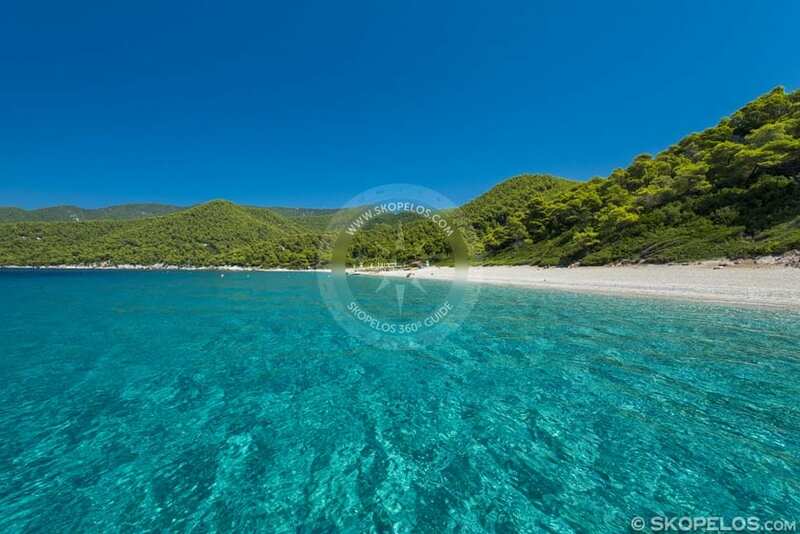 Whereas the right side is more peaceful. 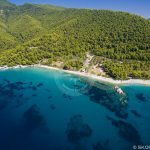 Access to Milia is down a tarmac road off the main road. 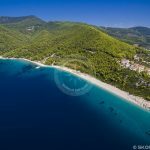 The beach is easily accessed by car or bus, parking is easy and there is a taverna for those who would like to have lunch or dinner.